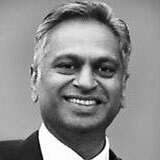 Kalpesh Patel is an Ear, Nose and Throat Surgeon at Imperial College Hospitals (St Mary’s Campus) in London. Kalpesh was initially trained in Head & Neck Surgery, but for the last 15 years has focused his surgical interest in all aspects of Rhinoplasty surgery for both aesthetic and functional indications. Kalpesh frequently lectures at both national and international meetings. Kalpesh is one of the founding members of the British Society of Rhinoplasty Surgeons and is keen to bring together interested Surgeons from the disciplines of ENT, Plastics and Maxillo-Facial Surgery with the main purpose of promoting the standard of Rhinoplasty Surgery in the UK. Anil Banerjee was one of the three founding members of the BSRS. He trained in the UK and Australia. He has performed rhinoplasties for 20 years in both the NHS and private sectors. 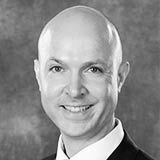 His practice encompasses all aspects of nasal surgery -aesthetic and functional. 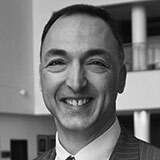 He lectures on techniques in rhinoplasty at meetings in the UK and abroad. and teaches rhinoplasty surgery at University Hospitals of Leicester. 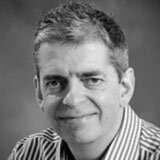 He is an ENT Consultant at Leicester Royal Infirmary, Nuffield Hospital Leicester, Spire Hospital Leicester, and The London Road Clinic. He is a fellow of the European Academy of Facial Plastic Surgeons. Patrick Jassar is a founding member of the BSRS. 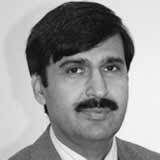 He was appointed as Consultant Ear Nose & Throat Surgeon at Hull & East Yorkshire Hospitals NHS Trust after completing his training in the UK and Australia in 2005. He performs 70 + aesthetic and functional rhinoplasties per year. 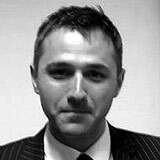 He has been awarded a Diploma in Aesthetic Surgery by Queen Mary University- London. He has published a chapter on rhinoplasty surgery and is a rhinoplasty teacher and trainer. He is a fellow of the European Academy of Facial Plastic Surgeons. www.yorkshirerhinoplasty.co.uk. Vibha Jaiswal is an StR 7 ENT Surgical Registrar in the Wales Deanery with an interest in Rhinoplasty Surgery and Facial Aesthetics. 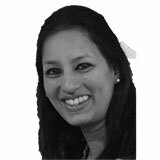 She is the current BSRS trainee representative with previous experience as the AOT representative on the ENT UK Education and Training Committee and Revalidation Committee. Mr Muhammad Riaz is a highly experienced Consultant Plastic and Reconstructive Surgeon at The Department of Plastic Surgery, Castle Hill Hospital, Cottingham in East Yorkshire. For a list of all members of the British Society of Rhinoplasty Surgeons, please visit the Our Members page. If you are a qualifying surgeon interested in joining the British Society of Rhinoplasty Surgeons, you can find out more about membership on the Join BSRS page.